L'Armagnac, c'est un pays, une partie du sud-quest de la France qui s'inscrit symboliquement dans les contours d'une feuille de vigne. L'Armagnac, c'est aussi la plus ancienne eau de vie du monde, distillée et consommée depuis 1411. Enfin, cet Armagnac est le fruit de la distillation de vins exclusivement élevés dans la région d'appellation contrôlée, vieilli en fût de chêne, et mis en bouteille exlcusivement pour vorte plaisir. 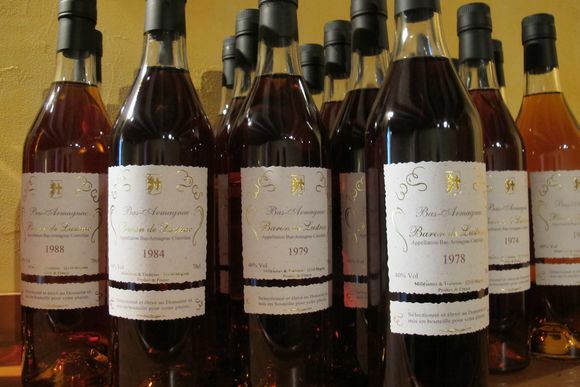 A wine tasting of 20 different Armagnac houses in the summer of 2011 has shown that the Armagnacs of the Baron de Lustrac are among the finest. They are clean and pure distilled and do not exceed the clarity of the aroma. Particular favorites are 1936 as well as the 1973 and 1986 Folle Blanche Armagnac. 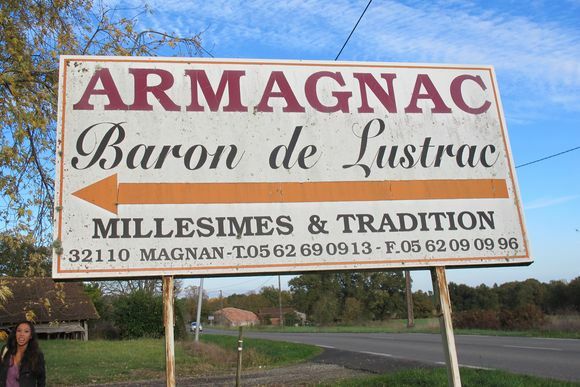 Origin and personality of an Armagnacs: the Armagnacs baron de Lustrac comes mainly from small farmsteads, scattered around the Gascony region of southwest France, with which exclusive contracts exist. Baron de Lustrac supervises and supervises the aging of the Armagnacs and takes care of their distribution. These privileged relations make it possible to store and age the Armagnacs at the place of their production under the watchful eye of the cellar master of Lustrac. When the time comes to bottle the aged eau de vie, they can offer a wide variety of different bottle shapes. On special request, Magnum bottles, O, 2l bottles and Carafes (the latter only 50 years old Armagnacs) are available. The 50-year-old Armagnacs originate exclusively from the Domaine du Moreau from the Armagnac AOC region of Ténarèze. In the composition of a vintage-Armagnacs of the Baron de Lustrac come only the best eau de vie of the best districts, bottled after distillation in oak barrels, and there are decades of storage and maturing. The year of harvest is decisive for the vintage name. In the wooden barrel, the tannins are responsible for transforming the fresh distilled eau de vie into balanced maturity, both regarding taste and color, which can range from straw yellow to dark brown of Acajou wood. As long as the Armagnac is stored in barrels, it lives and develops further. Part of his alcohol evaporates, the so-called "part des Anges"-the angels share.